****INTRO RIDE****The Intro Ride this coming Saturday 27th April is.....not happening. Sorry. But it’s because we’d love you to try the BADAX ride mentioned above. See you Sunday. ****Every Saturday we are offering Introductory Rides. 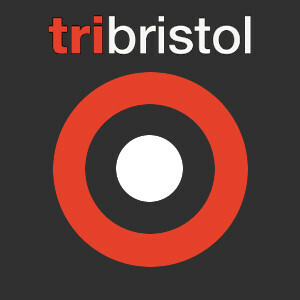 They will alternate between a 25 km and a 40 km cycle route, starting either in the north or the south of Bristol, they will be led by a club member, at the pace of chat, and ensuring no one gets dropped. They're aimed at anyone who wants to experience the exhilaration of riding in a group, maybe you want to discover new routes, or just need an excuse to get out and ride. All are welcome. Here's how it works: During the Winter and Spring we're going to use two different starting points. We'll decide which one a week in advance, then post it here and on Facebook, so folks know where to meet up. It'll be either the main car park at Blaise Castle BS10 7QT, or at the gate of Ashton Court opposite Long Ashton Road BS41 9JH. We'll also advertise if it's the short or long ride, and maybe a few details about the route that the ride leader has decided on. It's all free, but we'd like you to book the session using the Calendar on the club website so we have an idea of numbers. As ever, there are rules, and the main one is that everyone rides at their own risk. The ride leader is not a cycling coach, they may offer some guidance about group riding, but ultimately you are responsible for your own road safety whilst being considerate of those around you. There are various calls used on a group ride, "car back" for a car approaching the group from behind, "car up" for a car coming from the front, then "slowing" or "stopping" when braking, plus hand signals for potholes etc. They become second nature and don't take long to get used to. Groups ride either two abreast or single file, depending on the road, the rider leader will advise. The key at all times is not to overlap your front wheel with the back wheel of the rider in front of you. Stay close to the rider in front to benefit from drafting, but not too close. A good group stays together at a steady pace, sharing the work at the front, and waiting to re-group at the top of hills. If you shoot off the front, the leader is not obliged to come and tell you where the next turn is, so you may look back and find you are alone. Keep smiling and be courteous to other road users, especially if a driver's slowed down for you. Chat, meet people, have fun!